2011, resulting in many strange nose shapes and radomes. 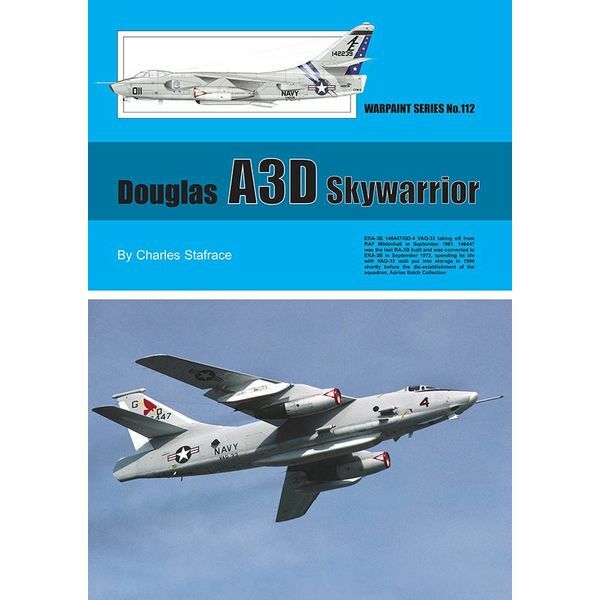 The Skywarrior will be recorded, too, as being the heaviest jet aircraft to ever operate from any U.S. Navy aircraft carrier. It served with several types of squadrons - VAH, VAQ, VAK, VAP/VCP, VQ and VR. All versions and squadrons, both shipboard and land-based, are listed in this new Warpaint series by Guideline Publications, written by Charles Stafrace and illustrated by Richard J Caruana. 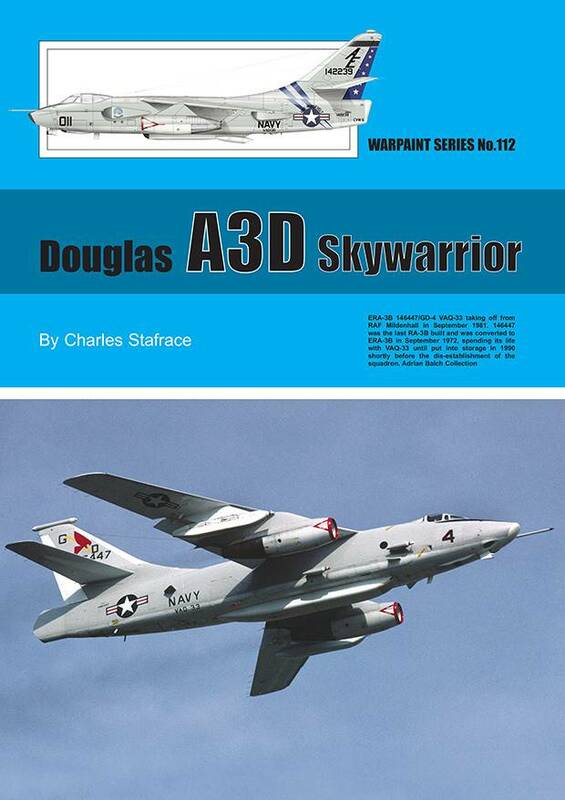 Apart from the usual detailed text that describes each version and its operational service, several other tables are included in this profile, including production serials, versions lists, squadron use and Appendices giving detailed data on each Skywarrior cruise, specifications, and the 1962 type re-designation of U.S. Navy aircraft. No fewer than 200 B&W and colour photos, many of which are being published for the first time, illustrate the various versions of this versatile aircraft.